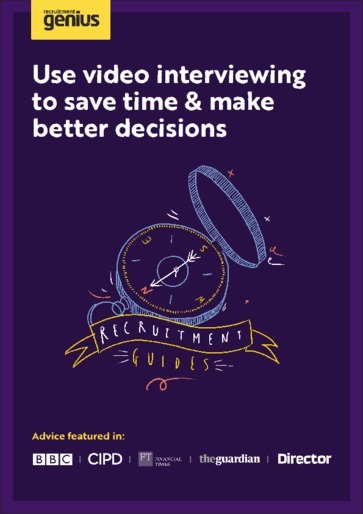 Video interviewing is a great screening option that more recruiters should consider. It is easy to set up and you can instantly ask an unlimited number of candidates your questions. Screening applicants is traditionally the most time-consuming and frustrating aspect of recruitment, as you spend hours with inappropriate candidates. Video interviewing is a far better alternative, allowing you to be more productive and stop wasting people’s time. Video interviewing is a pre-selection tool only and does not replace face-to-face interviews. But as a pre-selection tool we’d argue it is the best around. However, you do need to know how to use and set-up video interviews, and the techniques that do, and don’t, work on-screen. This guide shows you how.